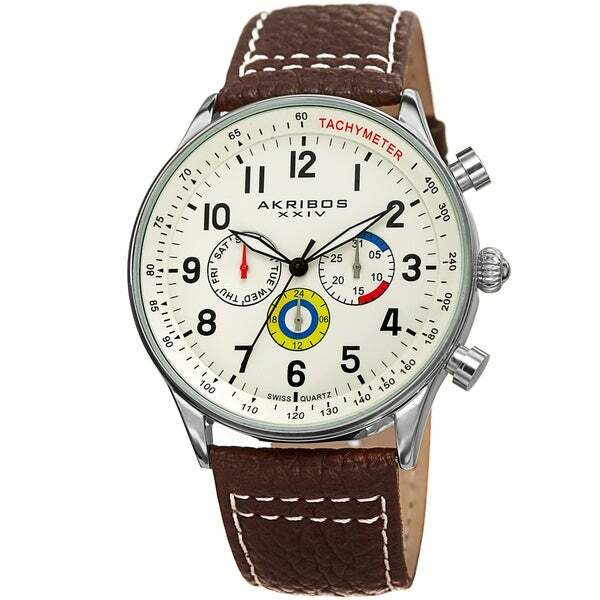 This classic Akribos XXIV men's watch has a sturdy case and genuine leather strap. Powered by Swiss quartz multifunction movement, the semi glossy dial displays the day, date, and GMT. Gift this watch to make the perfect present!